Henderson, CO – Healing Lifestyles and Spas (HLS) has named Lily Organics Rejuvenating Enzyme Mask “Best Mask” for the 2nd year in a row in its 2012 Earth Day Beauty Awards. 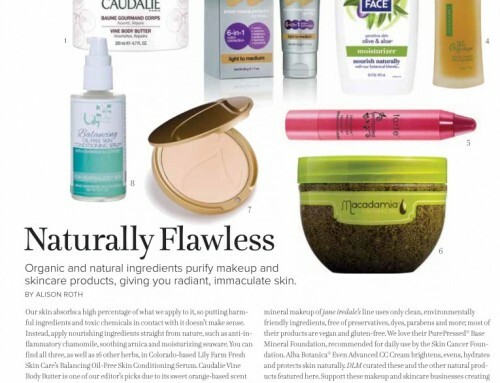 “This two-year winner for Best Mask reminds us that the simplest ingredients can make the biggest impact on our skin. Papaya and pineapple loosen and dissolve dead skin cells, honey kills bacteria and attracts moisture, mint increases circulation and vitamins C and E offer antioxidant, collagen-boosting benefits. After 20 minutes of wear, you rinse off the mask to reveal a smooth, soft, hydrated and glowing complexion. “Works every time!” Jolene Hart, HLS. There are many products on the market that claim to be organic and all-natural, which is why HLS has strict restrictions on entries. To even be considered for an award, products must not contain Healing Lifestyles and Spas “15 Red Flag Ingredients, including phthalates, parabens, formaldehyde, sulfates and chemical sunscreens.” They use these measures to ensure that they have “chosen brands that value sustainability of product and packaging, and personal and environmental health overall.” Hart, HLS. “We are delighted again to receive this prestigious award. Our mask is so well loved because the results it gives women. They want organic and they want products that really perform on their skin and improve the texture and appearance. We give them both,” states Lily Morgan, Founder and Formulator of Lily Organics Farm Fresh Skin Care. Lily Organics grows ingredients for its all natural skin care line on its USDA Certified Organic farm in Colorado, right outside of Denver.